Fantastic 3 bedroom 2 bath solar heated pool home in Mill Run! 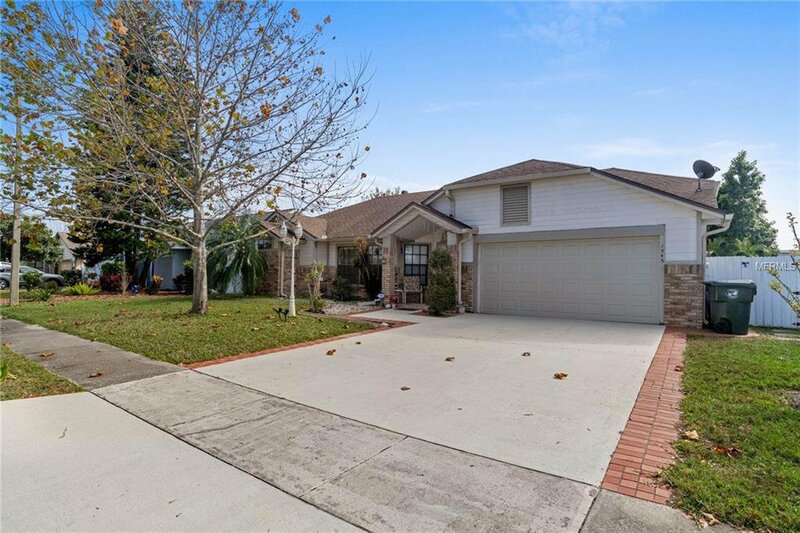 This home features an open floor plan with plenty of upgraded flooring, all appliances , tile countertops, and an expansive back yard. A beautiful patio with screened lanai and mature landscaping and large kitchen and dining room combo. Split bedrooms with valuted ceilings. The fenced in yardgives you all the privacy you need to enjoy your pool and entertain. This home also has a workshop out back. Don't miss this opportunity to own a great home in a wonderful neighborhood! Listing courtesy of WATSON REALTY CORP. Selling Office: KELLER WILLIAMS AT THE PARKS.